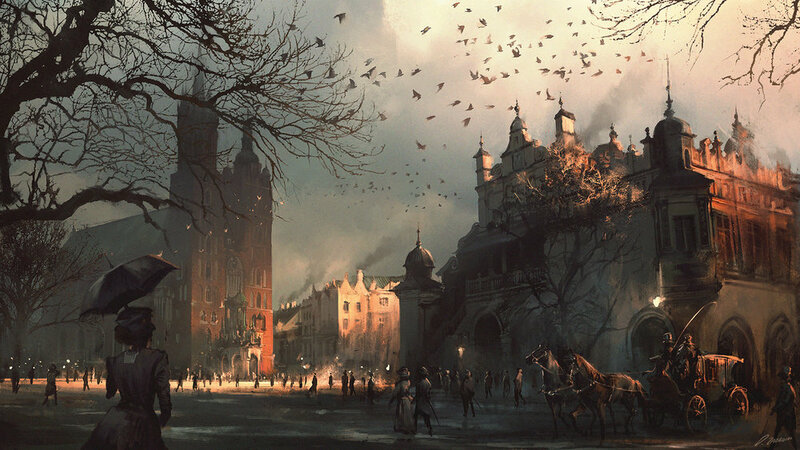 A concept artist and illustrator from Gdansk, Poland, Darek started drawing at the age of 3 and it was always his biggest passion. He thrived to develop skills by learning new tools and trying different ways to approach illustration and design. 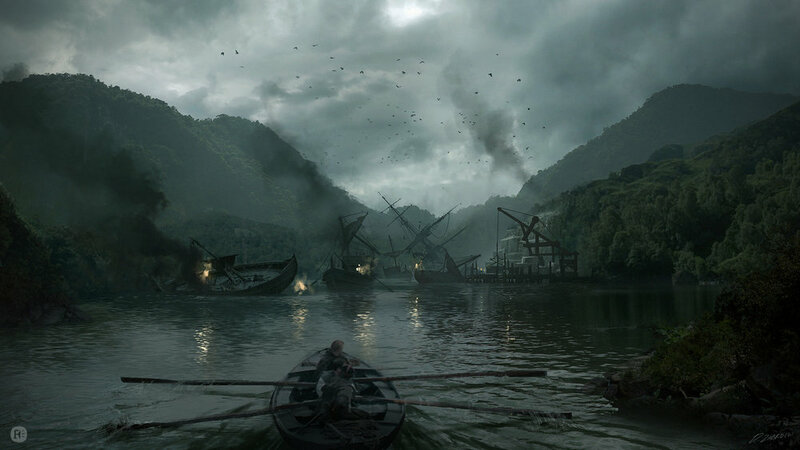 In 2007 Darek felt it was about time for a change in his artistic life; he switched from traditional to digital medias and later it led him to pursuing a career as a concept artist. After a couple of years of exploring digital techniques and hard work he started to work with leading entertainment industry companies providing designs for both movies and games. Being extremely versatile resulted in a wide variety of work, and his motivation and persistence showcases a wide range of work executed on a top industry standard. Drawing gives him energy in life, to a point that it is a key aspect of who he is. A day without producing a single piece is a wasted day. Michal's passion for drawing began when he noticed that he liked to come up with his own shapes. This eventually led him to do some small time concept assignments when he was 19. 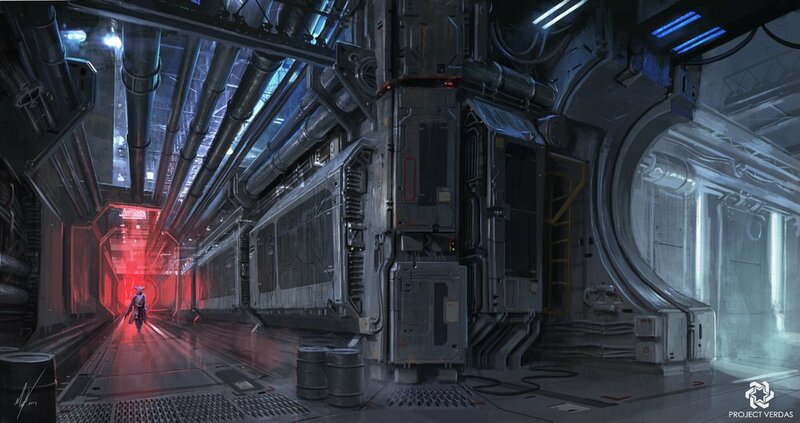 After finishing his IT degree he decided he really wanted to pursue his passion for concept art instead of continuing a career in the IT sector. 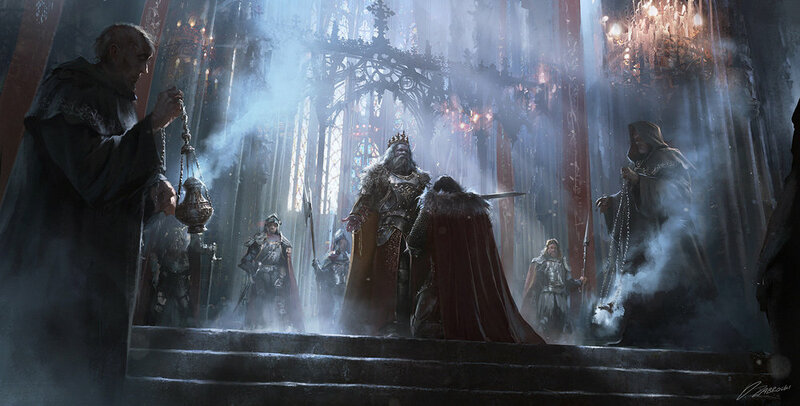 In 2012, he started his career officially as a full-time concept artist for ISOTX in Utrecht, Holland. 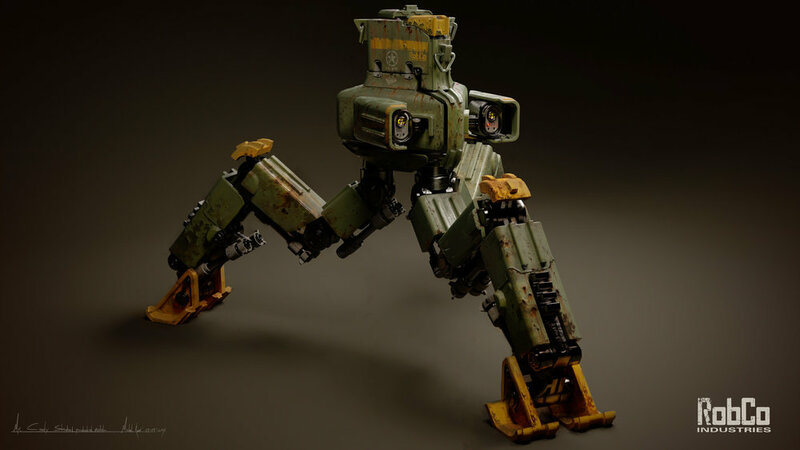 There, he developed a special passion for hardware design and vehicles in a variety of styles and settings, ranging from steampunk, dieselpunk to sci-fi. In 2013, he wanted to develop his skill further and went freelance. Since then he has worked for many companies mostly in the game industry, with clients like Jellyfish Pictures, EA Games, Disney, Marvel, and Platige Image.Aside from freelancing, Michal is also an instructor at Computer Graphics Master Academy (CGMA) based in California. "It was a great pleasure working with Darek.His sheer artistic talent brought ideas to cinematic life, and invigorated the project with excitement. He has a great eye for atmosphere and light; form and stunning compositions. He can quickly capture the mood of a piece; the overall dramatic feeling of a world or scene, rendered with a few brush strokes. I love his style, as It allows you to see and feel the end goal - and then build upon his vision with the details and planning. An absolute joy to work with. I would recommend Darek to anyone at an instant. " 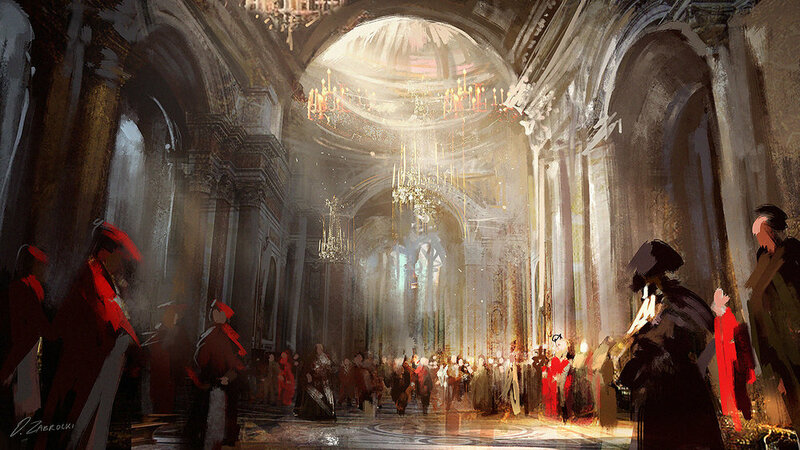 "I have had the pleasure of working with Darek on a set of concept art pieces for Assassin's Creed: Syndicate. His work has been a great source of inspiration for the team and it helped me solidify the artistic vision for the content that we were producing. His Environment work for ACS always established a strong and memorable mood. His compositions are dynamic and he creates a good sense of depth in his work by using solid value grouping and paying close attention to scale references." "Michal’s work takes you to another world filled with imagination, fun and creativity. His unique forms and design language are immediately recognizable. Together with polished presentations and solid foundations, Michal Kus stands among the greats. His live presentations have inspired countless others, including myself and our students. Above all, Michal’s focus on education is a welcomed opportunity for us all to continue learning and sharing"
"Darek's collaboration with us on NFS Payback has brought tremendous value to the project. He is quick to digest my vision and directions. Executes with precision, efficiency and delivers awesome high quality concepts. Always open to receive feedback, to iterate and improve. His works served as my best visual communication tool to direct and align all my art teams towards hitting my vision as well as motivates them to push the bar higher and higher each day. Above all, the concepts he produced for us on NFS Payback has inspired our teams beyond just the art department, across multiple locations worldwide. " "Darek has been a key contributor to several blur projects over the past few years. His professionalism, speed, and tremendous skill impresses and inspires our modeling team to build upon the incredible environment paintings he generates with seeming ease! His process is wonderfully revealed in elegant progression from loose sketches to refined beauty." "This mentoring is a must take as I have always been impressed with Darek's painting and design abilities. He is extremely versatile and he constantly give back to the the community through his YouTube channel "levelup ". Through level up , he has helped so many people become better artists.I would highly recommend this mentorship."